Happy Friday! Another late post for you guys. I have a trio of holographic polishes from Northern Star Polish today. They are each different but each pretty darn awesome in their own way. I also received a sample of Lettuce Cuticle Oil to try out. I loved the scent, I didn't know what to expect with a Lettuce scented product but it was light and fresh. It applied easily and soaked in quickly. If you wanted to try out any of Northern Star Polishes' cuticle oils, check out that section here. While I love a blazing linear holo flame, I have also come to really love scattered holos within dark bases. And Have Time, Will Travel would make any Doctor a polish lover. 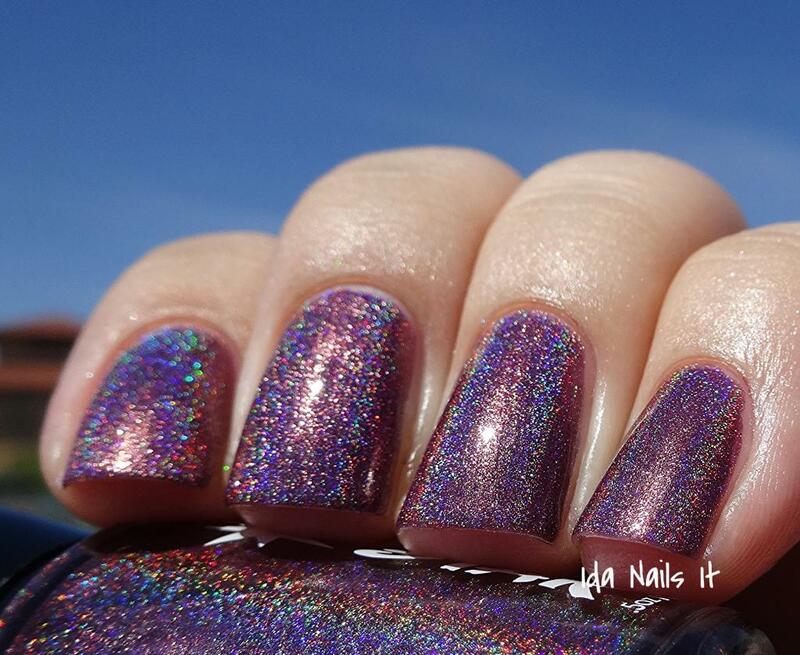 A rich color with an amazing full linear holo effect. Could not be happier with this! 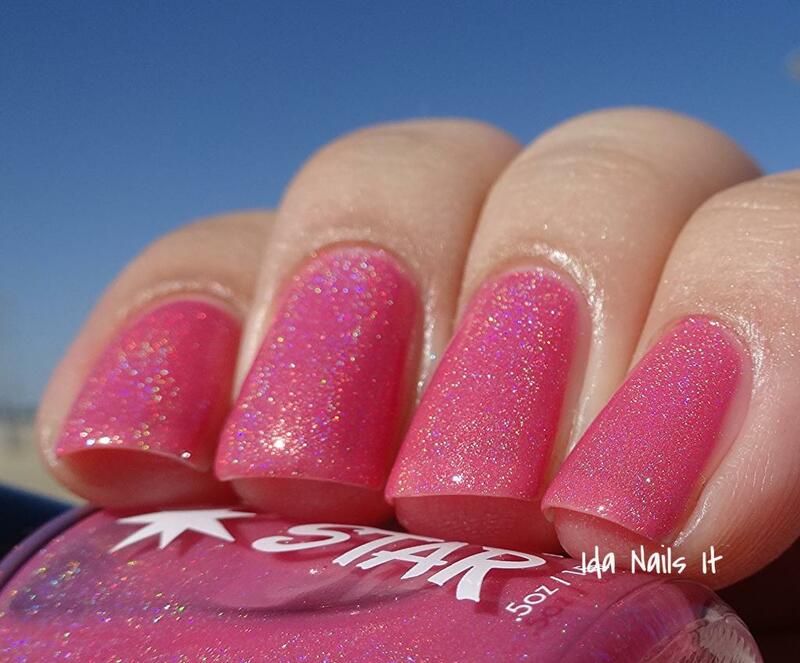 It's has a jelly finish and that lovely linear holo flame we all love so much. Northern Star Polishes can be purchased on Etsy and updates can be found on Facebook and Instagram. 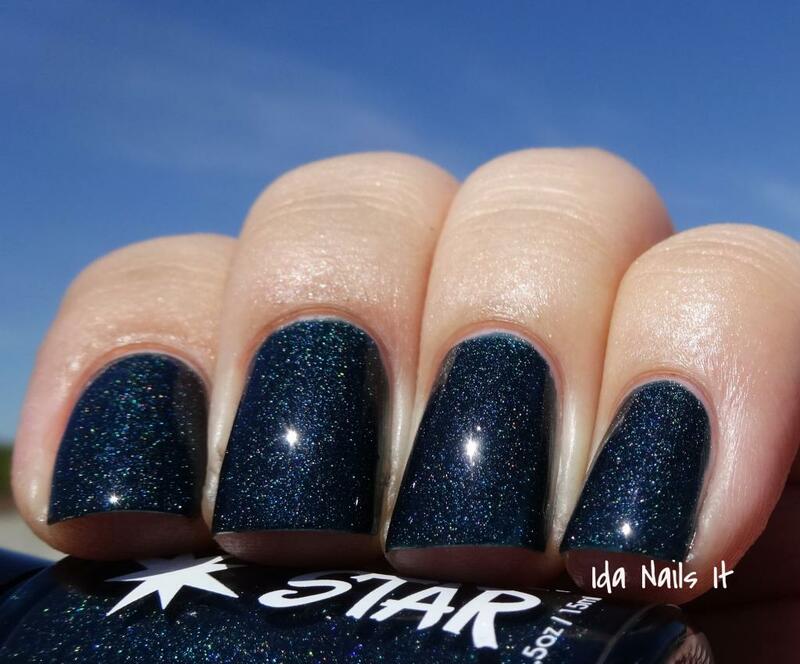 Northern Star Polishes can also be purchased from Edgy Polish. All three of these are gorgeous!